Yung Yong has an in-born passion in caring for other people. 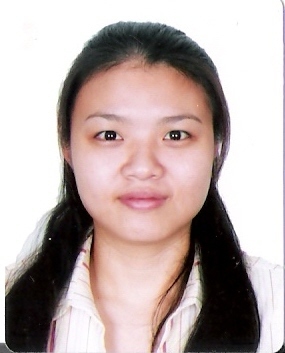 She started her career as a nursing assistant in the Occupational Therapy Department of Yi Xian Hospital, Shanghai. During her tenure with the hospital she was among the few who were enlisted in the then newly established Naturopathy Department as trainee of Tui Na Massage Therapy. After 6 months intensive training followed by another one and a half year of service as massage therapist in the hospital Yung Yong was head-hunted by the Shanghai Gran Melia Hotel as resident massage therapist at the YHI Spa. With a flair in the art of massage and solid foundation built at the hospital it didn’t take her much effort to expand her skill set to spa-oriented modules such as Swedish, Balinese and hot-stone, to name a few. Yung Yong came to Hong Kong in 2007 and since then she has been working in various Spa including the award-winning Sense of Touch. She became an independent massage therapist since 2009 and she joined MoMa Hong Kong Mobile Massage in March 2010. Yung Yong is a certified level three massage therapist by the China National Labour Bureau since 2006.